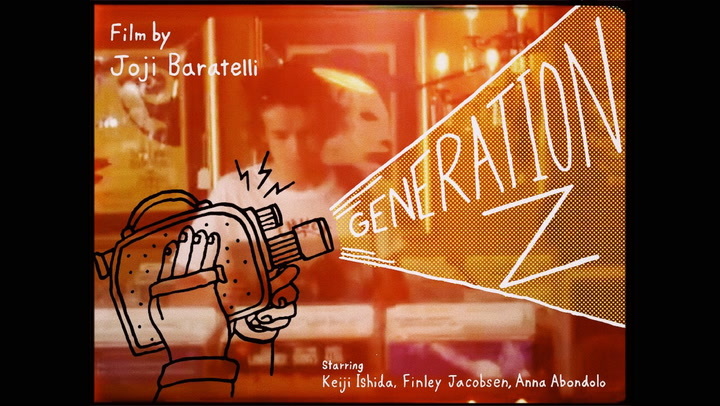 This film focuses on three talented young artists—Keiji, Anna, and Finley—who might seemingly be misplaced souls stuck in the wrong age. Keiji exclusively paints and shows work in galleries, Anna plays stand-up bass only in live venues rarely recording anything, and Finley solely shoots film photography and screen-prints t-shirts for his paper-only magazine. I find this new generation—“Gen Z,” as demographers tend to refer to it—to be a fascinating confluence of what's current and nostalgic, hyper-social and anti-social, digitized and authentic. Being part of it seems to only exasperates these claims; while I often feel so readily in-line with what other members of my age-group are up to, other times I feel diametrically opposed to everything everyone else stands for. But either way, I think that feeling of resentment resonates with a large swath of the young populace. Instead of the tech-savvy, all-digital social justice warriors that young people are often made out to be, I wanted to show a group of people who are making things just like they did 50, 60, 70 years ago, who are creating art for art’s sake, and trying to achieve a certain authenticity only found in physical mediums. At the heart of this generation, I think we all want to disavow labels, to do the unexpected, to flip the status quo—and more than anything, I hope this film can capture a slice of that.